We can image that above maps illustrate the scenario to take snapshot of a fish tank with 4 different fishes. 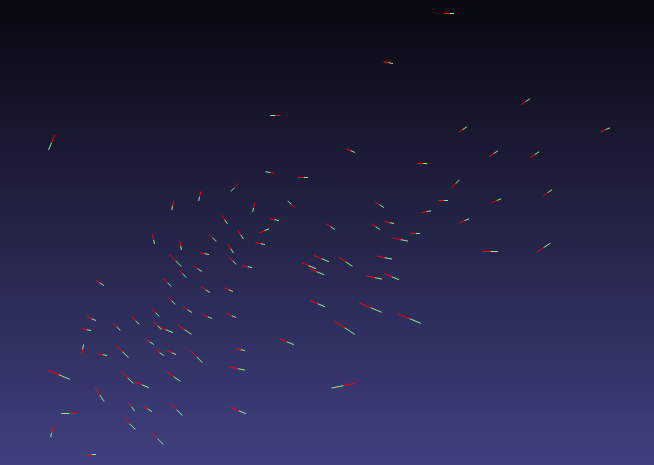 The top map is a random snapshot in which the fishes face different directions. The middle section are the 4 fishes rotated to show maximal information to the viewer. The last map is a snapshot of the fish tank with all fishes magically rotated, so that each fish shows the maximal information to the viewer. This scenario is sort of an extension of the scenario described in the video "A layman's introduction to principal component analysis". 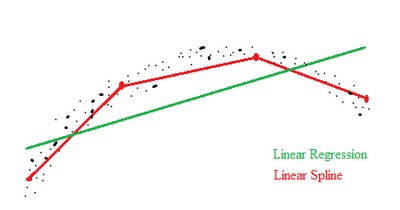 A key requirement for linear spline is that the line segments have to be joined together to form a single polyline. Similarly for GPCA, we require that the composed resulting map to preserve variance of the map in major directions. 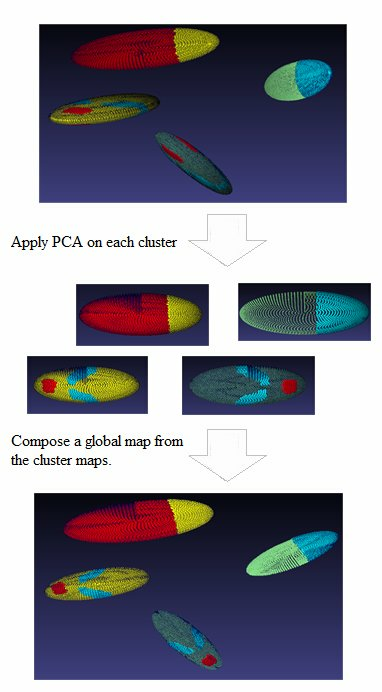 It should be noticed that there are many PCA related approaches under the term localized PCA. Those approaches mostly focus on how to segment the data, but ignore the step to compose a single global map for visualization purpose. In contrast, the composition step in GPCA is the key step. 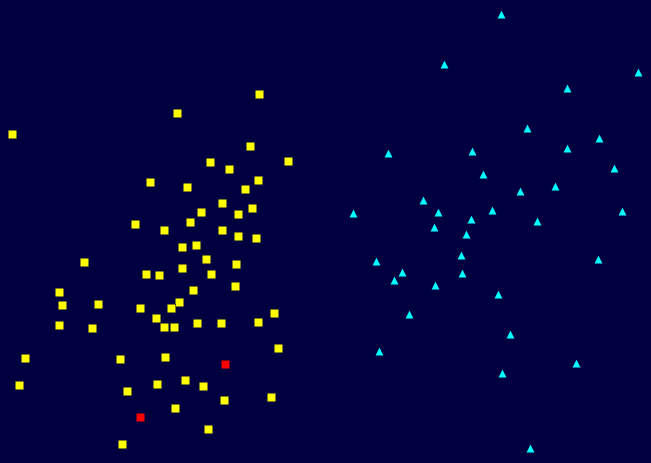 The creation of the initial map and the segmentation of the data is actually not part of the algorithm but just initial conditions. I have borrowed the term gauge from modern physics in which the gauge principle plays a fundamental role. The gauge principle states that a global system behavior is invariant under local gauge rotation. So for instance, when we calculate orbits of planets in our solar system we don't have to care about the orientation of individual planets. The orientation of planets is an additional freedom that has no impact on structure of orbits. This kind of extra degree of freedom has turned out to be the core structure underlying many laws in modern physics. Tracking Attributes in a MDS map. When using MDS (multidimensional scaling) maps in the practice, a frequently asked question is how does a particular attribute, i.e. 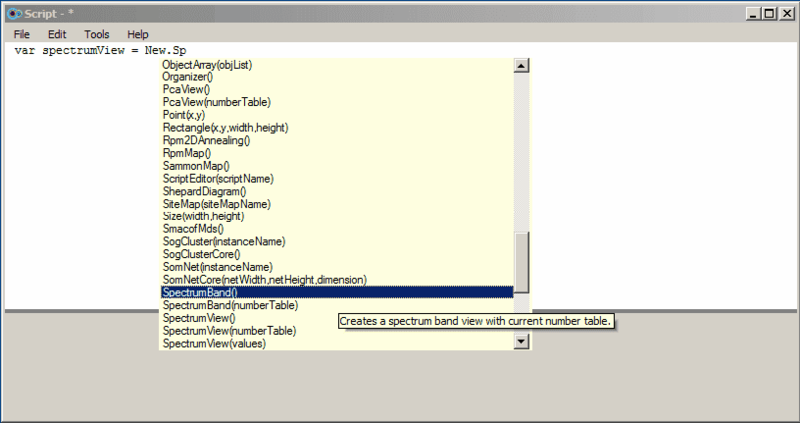 a data column in the input table, impact the resulting MDS map? One simple way to visualize the effect of an attribute is just create another MDS map without that attribute under investigation. The difference between the two maps can be then ascribed to that attribute. For instance, the following two maps are MDS maps (created with CCA aglrotihm) of the VisuMap sample dataset yeast.xvm: the fisrt is created with the first 5 attributes; second one with just the first 4 attributes. The difference between the two maps above is thus caused by leaving out the fifth attribute (i.e. the attribute spo2). 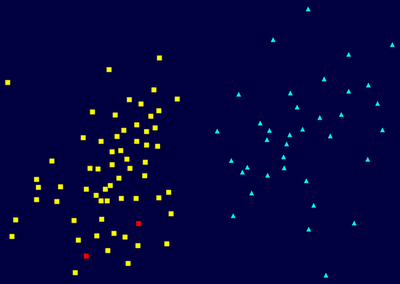 We notice that the two major data point clusters (colored as yellow and cyan) are more separated in the first map. 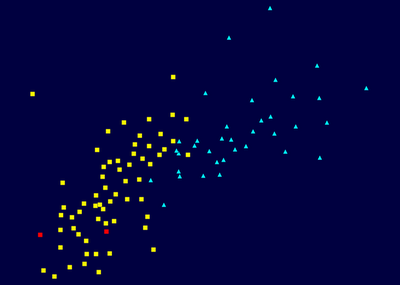 Thus, we can see that the attribute spo2 provides significant separation for these two clusters. In above map, each bi-colored bar represents a data point; the red side of the bar points to the moving direction of a data point and the length of the bar indicates the speed of the movement. The second enhancement to the scripting interface is the so-called property spinor: within an editor window the user can now double click a property value to link the property to the mouse wheel. When the mouse-wheel is linked to a particular value in a script and when the user spins the mouse wheel, the property spinor will automatically change the linked value and execute the whole script. With this feature VisuMap provides a very generic control mechanism to probe different settings, so that user can see immediately the consequence of changed settings.